The surprise, to say the least, was a pleasant one. For months now, people who pay attention to the arts scene in town have been wondering: will Hartford Symphony music director Carolyn Kuan stick around, or will she split for brighter lights, bigger cities? They’ve been asking this because her current contract expires next year, and custom dictates that these things get decided at least a year before the clock runs out. 1. She will not stay. Kuan is immensely popular here in town, but she is also a rapidly rising commodity in the wider conducting world. She’s in her mid-thirties, she’s got good connections, and she has, as they say, the chops for a major career. Hartford was a nice little launching pad, but five years is more than enough time to launch. 2. She will renew, but only for two or maybe three years, max. The thinking here was that she would want to get a couple more seasons under her belt, partly in order to refine her music director skills, and partly to get a better idea of what might be available to her beyond Hartford. The smart money people – and just about everybody else – were therefore taken by complete surprise when the HSO announced yesterday that Kuan had just signed a contract for six -- that’s 6, a half-dozen -- additional seasons. 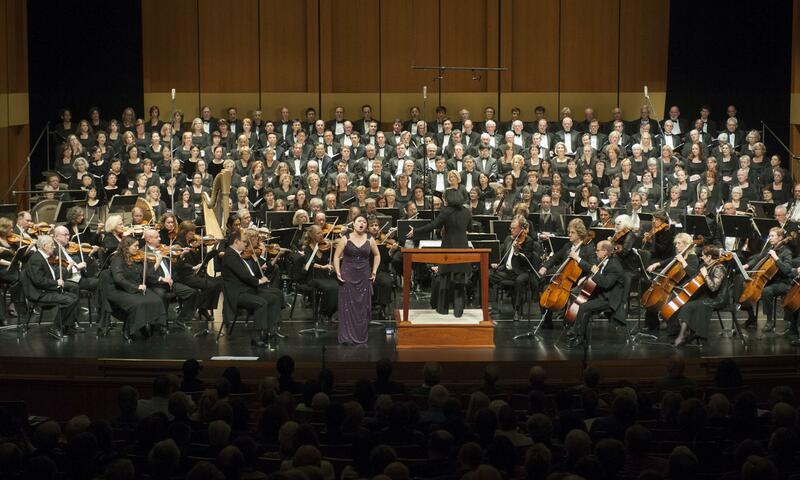 The Hartford Symphony Orchestra, Hartford Chorale, and soloists led by HSO Music Director Carolyn Kuan. Kuan's decision is a life-altering commitment on her part, and a powerful affirmation of her faith in the local scene. Let’s look at what this means from a couple of different angles. First, from Kuan’s perspective, this is a really tangible expression of confidence in this orchestra, and in this community. After all, this is a young woman with choices. As many reading this piece will know, she has been doing some major-league guest work around the country and around the world. She recently made debut appearances, for instance, at Santa Fe Opera, and Glimmerglass Opera, both of which are world-class venues that attract international talent. She has guest-conducted the Baltimore, Detroit, San Francisco, and Seattle symphony orchestras, among many others. And just about everywhere she goes, she has been getting the kind of notices that cause publicists to blush. Her resume, in short, is about as impressive as a 30-something conductor’s resume can be, unless your last name happens to be Dudamel. 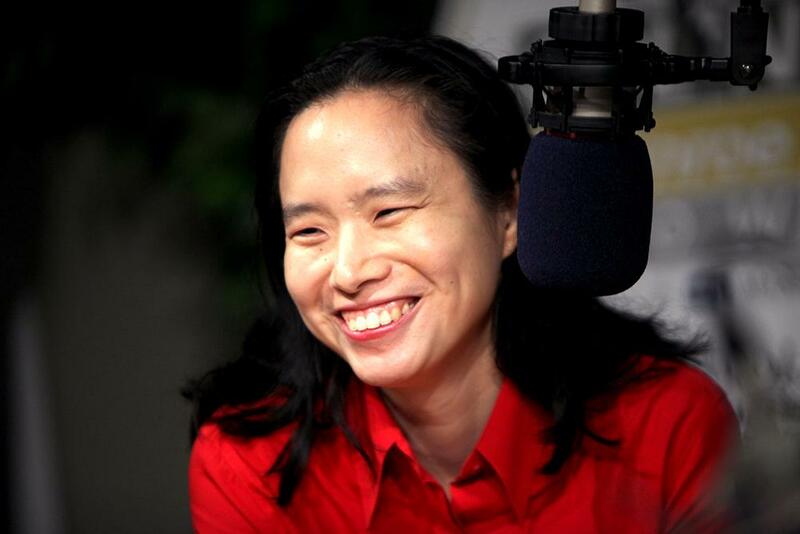 Carolyn Kuan in a WNPR file photo. From the organization’s standpoint, this is in some ways an even more remarkable gesture. Six-year contracts in the conducting world are almost unheard of. And there are reasons for this: what if the audience loses interest? Worse, what if the vibe with the musicians turns sour? What if burnout sets in? It’s probably too soon to say whether all of the hoped-for benefits of this arrangement are materializing, but one thing is clear: the Kuan contract extension – and especially the sheer length of it – is evidence that the hall is feeling optimistic about the HSO’s future. Those words are themselves significant, because it wasn’t so long ago that, in the corridors and offices of the Bushnell, expressions of optimism concerning classical music were heard, let us say, infrequently. An additional development that, in its own way, is also meaningful: the HSO has decided to create a new position of assistant conductor. The yet to be named holder of this position (for the moment part-time) will be responsible for many of the orchestra’s outreach and educational activities, as well as some of the pops concerts. I don’t need to say that adding any new position these days at a non-profit arts organization – and perhaps a professional orchestra in particular – constitutes a striking leap of faith. 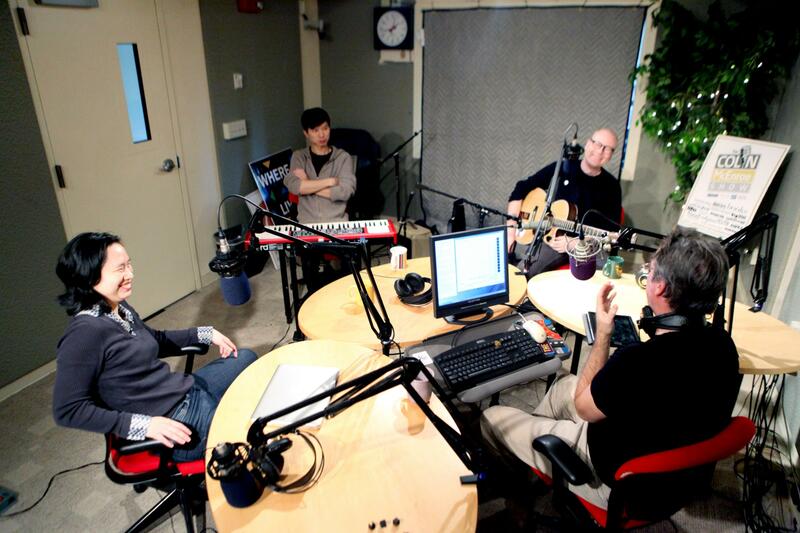 Carolyn Kuan, Daniel Chen, and Mike Doughty on the Colin McEnroe Show in 2011. For all of us who root for the HSO to flourish, the central underlying question in all of this is: does the new contract, and the organizational constancy that it implies, mean that Kuan can count on being supported in her efforts to bring ever more imaginative, ambitious programming ideas to the Bushnell stage? A glance at next year’s HSO Masterworks season (it, too, was just announced; find the particulars here) shows things moving in an encouraging direction. In particular, the orchestra will present a “dramatic concert staging” of Gluck’s seminal 18th-century opera, “Orfeo ed Euridice” in April. The full roster of collaborators has not been announced, but even just on paper this feels like a tremendously exciting prospect. We’re also being promised some “multimedia-enhanced” concerts, as well as a few other surprises. Let’s hope these projects constitute, as the poet has said, the shape of things to come. I don’t want to overreach here, but it would be nice to think that Carolyn Kuan’s decision to stay here a good while longer is further evidence that this once-beleaguered city is truly, and at long last, experiencing a renaissance. My hat is off to her, and to all who had a hand in shaping this contract. New England’s rising star, thanks to a deeply talented young woman whose gifts are increasingly becoming known throughout the music-loving world, has just risen a couple of notches higher.